A grand home, 4br/3bath. 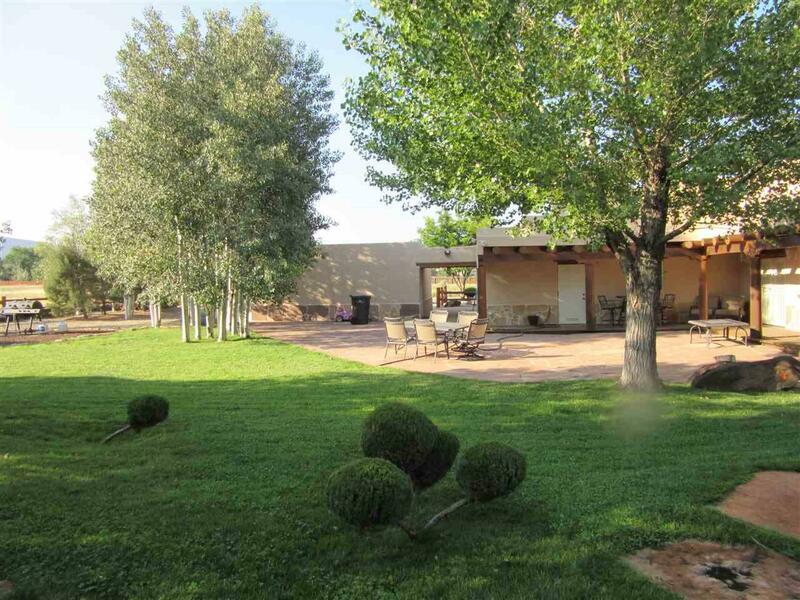 Wonderfully landscaped, a large patio and a two car garage. Large great room and open kitchen. 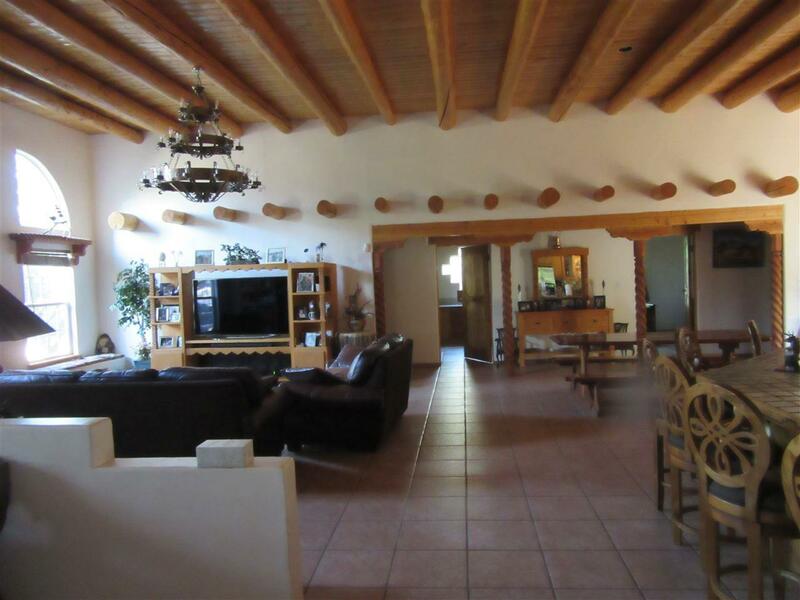 Tile floors throughout, hickory Master bedroom floor and high beamed ceilings. 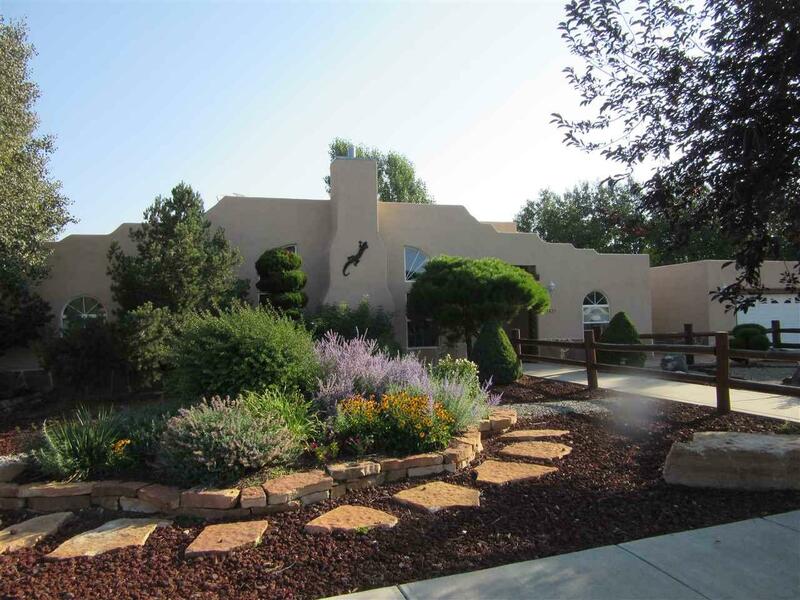 In town location convenient to shopping, hospital, galleries and historic areas, while secluded in the Vegas de Taos subdivision. This house is spacious and made for entertaining family and friends both inside and out. The French doors in the dining room and master bedroom open out to the covered portal which wraps around the back and side of the house. 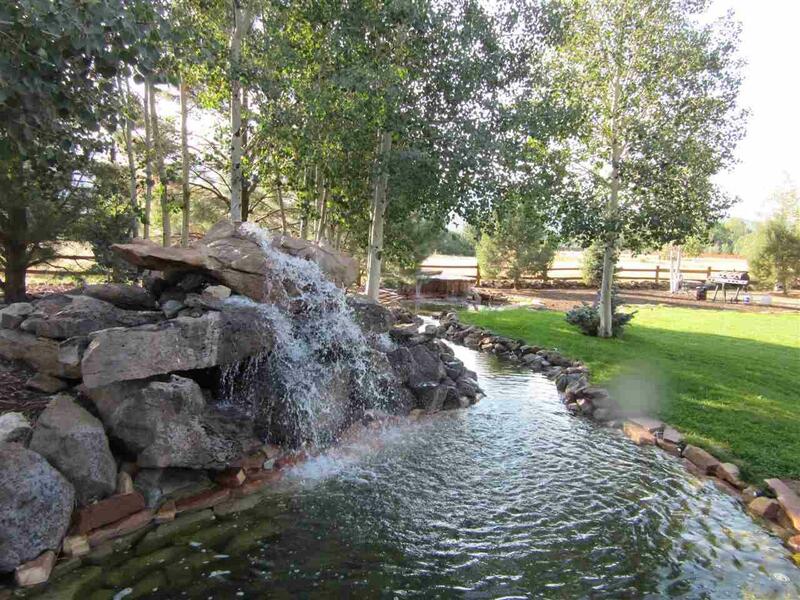 The entire yard has been beautifully landscaped with an assortment of trees, flower beds and two beautiful waterfalls in the backyard. The large patio and back yard is built for hosting parties, family gatherings or enjoying a cozy evening under the stars. You can also enjoy views of the mountains, sunrise and sunsets. In town location, with easy access to the County Club, the airport, TSV and Angel Fire resort to enjoy all the amenities such as golfing, fishing, hiking, river rafting, biking, camping, ballooning, horseback riding, skiing, snowboarding, festivals and shopping. There is something for everyone close by! You dont want to miss out on this house. Please see associated documents for more information.